Beijing+20 youth review and advocacy training was an eye opener for me in terms of understanding the Beijing Deceleration and Platform for Action and the 12 critical areas of concern. It made not only me but the rest of the participants also who are activists in different related areas understand the content of the document and the remaining recommendations that need to be implemented in Sri Lanka to empower women. The BPFA imagines a world where women and girls can exercise their freedom and choices, realize all their rights and participate in decision making meaningfully. We all know that Beijing process unleashed a great deal of political will, support and visibility that the governments, civil societies and the public and then the governments have translated the platform actions and recommendations where they promised to act accordingly addressing the issues in concern in their individual countries and to bring a solid change. Looking at the Sri Lankan context I accept that there had been a great improvement in women’s life when looking at certain areas but still it is questionable and debatable with the rise of certain issues and reported incidents whether Sri Lanka is addressing the issues related to women’s life in the correct manner? Is women’s empowerment a reality? Can the recommendations and actions that have been implemented in the sphere of empowering women make them take meaningful decisions? Can they make their own choices without influence? Do they know what a rights based approach is?is? 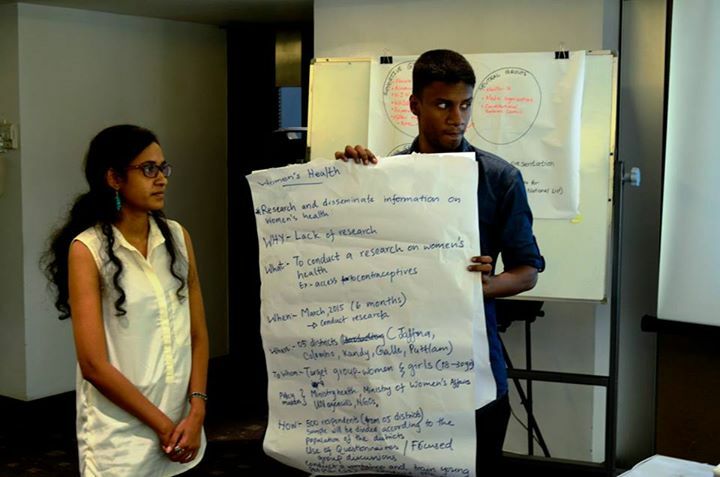 Looking at women’s and young girls sexual and reproductive health rights it is largely seen and observed that adolescents girls in Sri Lanka don’t have access to necessary healthcare information and services. Trend towards early sexual experiences are combined with the lack of information and services and this increases the risk of unwanted and early pregnancies, HIV and other STIs and also lead to unsafe abortions. These issues that rise because of lack of access for quality SRHR information and services will push them backwards in achieving a range of educational, economical and social statutes and also this won’t give them the right to enjoy the highest attainable standard of physical or mental wellbeing. Another area of concern under health is the attempts that needed to be taken to eliminate unsafe abortions and to deal with the health impacts of unsafe abortions. Under restricted abortion laws still there are more than 750 reported cases of unsafe abortions that take place in Sri Lanka every day. I personally think that this much of cases are reported because there is a loop hole somewhere that needs to be urgently addressed. The lack of knowledge on contraceptives ends up making women vulnerable and then they finally have to get an unsafe, illegal abortion done. Concerning only this aspect it suggests that Sri Lanka still has a long way to go! More recommendations need to be added and implemented in the grass root level! Certain policies and laws need to be changed! Real actions and policies needed to be implemented to address women’s health! To empower them! To make them realise their rights! To make them take decisions and make choices related to their own bodies!